No one was injured after semi-truck and trailer crashed on Cornelius Pass Road, Monday. Editor's Note: The road has reopened. Washington County deputies are warning drivers to find an alternative route along Cornelius Pass Road, Monday, Jan. 21. The road is expected to be closed for hours following a crash in the area. According to the Sheriff's office, a semi-truck and trailer traveling southbound on the road crashed near Germantown Road Monday afternoon. 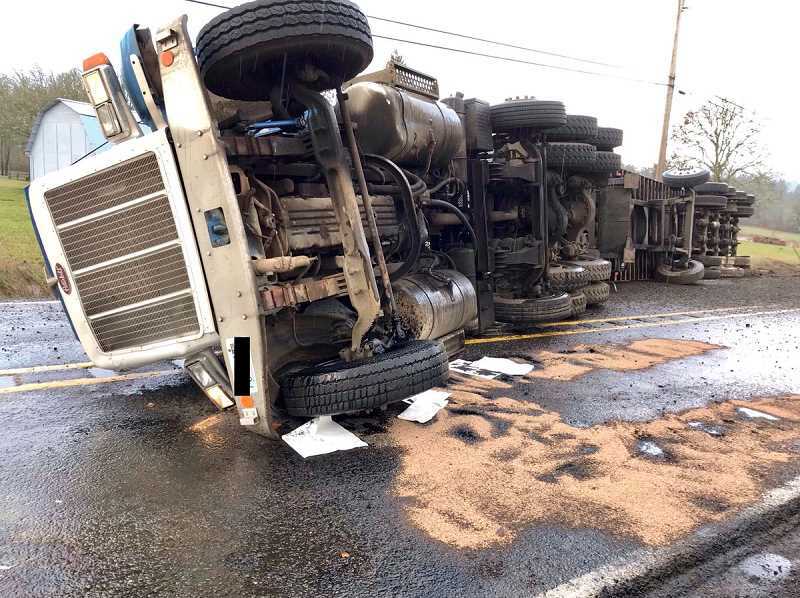 The road will be closed between Germantown Road and Skyline Boulevard as crews work to right the fallen truck and tow it away, according to Deputy Jeff Talbot. Detours are in place, but commuters are asked to find alternative routes north and south, Talbot said.